“She would read the label off a jam jar if there was nothing else for her to read” was a common statement my dad used to say about me when I was growing up. I loved reading and devoured books. Now, the same can be said about my children. I am amused most nights as my 10 year old boy tries reading with a torch under the bed covers after ‘lights out’ because he just has to see what happens at the end of the story. Our family loves reading. In fact, we easily spend several hours per day reading. I often say that if you can read and do basic maths, you can learn just about anything. Having the ability to read is an amazing gift and opens the door to learning virtually anything. 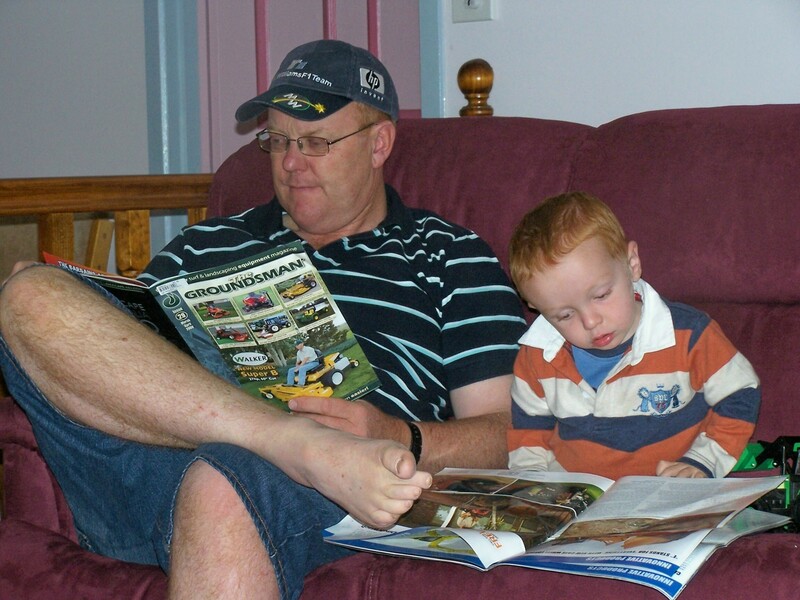 There have been numerous things we have done as parents over the years to encourage our children’s love of reading. Even when they were in my womb, I read the Bible out aloud to them, believing that they would not only learn to recognize my voice but also learn to recognize God’s truth in their life. Then after birth, those 2am night time feeds were spent snuggling them up to my breast as I read aloud the Bible, pouring the Word of God not only into my life but theirs. As babies and toddlers, I read a lot to them. Hubby read whenever he could. One of his favourite reading memories would be reading a “Spot” book to Princess when she was about 18 months old. In the book, Spot went to visit Steve the monkey in hospital because Steve had a broken leg. When Spot returned home, he informed his mother that he wanted to be a doctor when he grew up. Princess looked up at hubby and said, “Daddy, I want to be a doctor when I grow up”. She has never wavered in this desire. We had the soft books for them as babies, the hard board books, the plastic waterproof ones for in the bath, the picture books etc. Our home was full of books. No matter which room they were in, apart from the laundry and toilet, they could see books. In certain places throughout our home, I strategically placed suitable attractive books I wished them to pick up and look through or read. At Christmas time, I still have a basket of Christmas themed books in the lounge. We all still love reading out aloud together the Christmas nativity play drama with the Herdman children in the book ‘The Best Christmas Pageant Ever’ by Barbara Robinson. This book is so funny that we all still laugh as we read it aloud even though we have read it at for the last 5 Christmases. Likewise, we have a basket of Easter themed books at Easter in the lounge room. We have audio books that the kids have access to which Matey, who is an audio learner, loves to listen to as he plays with his Lego. On long trips in the car we often listen to audio books as we have several family members who get car sick if reading in the car. This is a great option and one I highly recommend. A comfortable reading nook in the house is also a great way to encourage reading. Also having a variety of styles of books – fiction, non fiction, picture books, comics, sports section from the newspaper, magazines etc. My children loved reading Tintin and I realised that even though Matey couldn’t read the words, the pictures conveyed the story and you would hear him laughing several rooms away as he read the pictures. The kids would ask for more Tintin books and we had exhausted the library’s supply. We certainly received value out of buying the set of Tintin books for the kids and giving them as presents and rewards as both children read and re-read those books for several years. I would purchase them usually from Book Depository with its free postage. In Australia, check out www.booko.com.au for the cheapest place from which to buy the book you are wanting. It gives you the price of the book plus postage from numerous bookstores throughout the world. A few years ago I caught up with an old school friend of mine who has a job assessing children and their reading skills as they enter prep (ie aged 5-6) at various schools in inner Melbourne. I can remember asking her what she was assessing and being amazed at what I thought was commonsense in reading. She is looking to see if they know how to hold a book, then how to hold it the right way up and then if they know how to turn the pages and which way the pages turn. Lastly she is looking to see if they know which way writing flows on a page eg trace the way you read from left to right, top to bottom. Her response was that there are many children entering school who haven’t spent much time having books read to them or even ‘reading’ books themselves and don’t know these basics. During school holidays, I have a reward system set up for the kids. If they read new books or play board games or recite times tables or cook something new, they will get points which can then be converted to money or a new book they are wanting. A few years ago, I also awarded Princess points for reading to Matey and found that was highly successful in many ways. I find a lot of learning takes place during school holidays and they love each morning trying to build up their points. 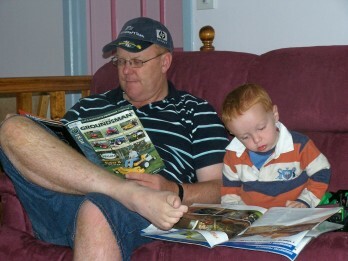 Hubby and I both love that the kids see us reading a variety of books. So much is ‘caught’ not ‘taught’. We not only read but we also discuss the various issues raised. We love visiting book stores as a family and pouring over books. Books are given as presents every birthday and Christmas. When we go on holidays and are staying in the one place in Australia, we join the local library. 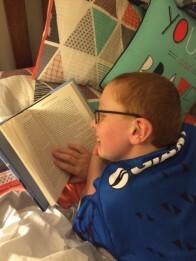 The kids love reading and it is such a huge part of their lifestyle that we encourage reading on holidays for some downtime after being in the pool or at the beach for hours. We have found libraries to be very accommodating in regard to joining as interstate visitors. Matey had a humorous experience when he was 8 years old. I encourage the children to make friends with the librarians and approach them and ask questions. Matey was reading the series of books called ‘The Sugar Creek Gang’ and one of the gang members was Poetry, aptly named because he loved poetry. Matey asked the librarian where he could find some books on poetry for children. The librarian stated that they didn’t have any but would get one on loan from another library for him. In a couple of days, this librarian handed him a book on poultry. I was puzzled at first as to why she had been excited about obtaining this book for Matey, until we realized she had mistook poetry for poultry. The kids love series of books and we do our utmost to supply them with suitable ones. I consider it one of my roles as their mum to make sure I have the next ‘level’ or maturity range of books ready for them. In earlier years, this meant I spent a lot of time reading and reviewing books to make sure they fitted my criteria in regarding to the morals/values they portrayed, the relationships between the people, especially the boy-girl relationships and the quality of the writing. For example, I didn’t encourage books with slack toilet humour. When they were younger, I noticed a difference with my daughter and son in their reading styles. Princess loved fiction stories and biographies and also historical fiction. She has learnt so much about world history through reading historical fiction and stories about children growing up in various times throughout history. Her love at one time was the royal family and through books like the “My Royal Diaries”, she learnt so much more than what I knew about the various monarchs of England and Europe. Matey, on the other hand, when he was younger, spent hours pouring over the non fiction books on how things work. He was a late bloomer with reading, causing me many hours of despairing that he would ever be a competent reader, yet alone a great reader. Thus, he loved examining the pictures in non fiction eg children’s encyclopedias and children’s books on how things work. He also loved being read adventure stories and had a love for reading about the slaves in America and World War 2. We poured through a huge amount of books about the Underground Railway in America where the black slaves were helped to freedom. I was utterly gob smacked when a couple of years ago, I was chatting to some adults and they had never heard about the Underground Railway in America. I then probed further, asking questions about the civil war, the way blacks were treated etc. These mums had no knowledge of any of this. This grieved me, especially for the fact that if we don’t know about history, then we can easily repeat the bad mistakes. Having a competent early reader in the family was beneficial but it also had its drawbacks. It meant that Princess often wanted to go to be early and read as she could read quicker than if I was reading out aloud to her. This meant she missed a lot of mother daughter reading aloud time. It has also meant that, even now, she will sometimes pronounce words incorrectly, because she has only ever read them and not heard them spoken aloud. When Princess, was ten, I redeemed some of this by spending many evenings reading aloud with her various autobiographies of girls and women who had done amazing things. I love my children reading books that inspire them to help others. After Princess and I read the book ‘Do Hard Things’ by Alex and Brett Harris, Princess then co-ordinated a project she called ‘Books 4 Cambodia’ where she collected over 33,000 children’s books and shipped them in a container to a contact in Cambodia who distributed them to schools and orphanages. Through this project, she was invited to have afternoon tea with the Prime Minister and was the Shire Young Citizen of the Year, opening many doors for her last year. One of Matey’s favourite pastimes, at aged 10, is still having me read aloud to him whilst he is lying next to me on the floor playing with his Lego. The last twelve months we have been reading aloud the Biggles books. They are full of suspense and intrigue and I must admit I read a bit ahead as I have to make sure that Biggles survives as he seems to find himself in completely horrific life threatening circumstances. Since we home school and I am responsible for choosing the curriculum that most suits my children’s learning style, I lean heavily towards the read aloud curriculum for history and geography. My children love the ‘Mystery of History’ volumes as I read and they sit and play with Lego or colour or cook whilst listening. Linda Lacour Hobar writes from a Christian worldview in a first person style and includes interesting notes about the various people throughout history. The most oft requested subject is history each day and I am not sure if they really love history or they love not having to do traditional ‘school work’ as I read and they cook or play. In an earlier blog post from August 25, 2014 titled ‘My Suggestions for Children’s Books aged 7-10’, (www.raisingworldchangers.com.au/blog-post/suggestions-childrens-books/) I offered readers a list of books for 7-8 year olds and 9-10 year olds for both girls and boys that both my kids enjoyed. If you have younger children, I encourage you to look at the list and start collecting suitable books from cheaper sources eg Op shops, second hand from other families etc. We have a massive collection of books at home and most have been sourced relatively cheaply as I have kept an eye open for them over the years. Due to the kids’ interest, we have a huge collection of world war 2 stories from a child’s perspective. We also have a huge collection of the YWAM Christian Heroes Then and Now Series. We also have a number of other Christian fiction series. Through reading a biography about Klaus Dieter John, a christian hero who founded a hospital for the poor in Peru, Matey had the opportunity to meet him. Not everyone can say at aged 9 that they have met their world hero. When my children were babies, my aunt used to often say to me that the housework can wait but time with your children goes too fast and you can’t get it back. This aunty had an experience just before she died of meeting a rather wealthy lady she had known from when her children were smaller forty years before. This lady kept the ‘perfect’ house whilst my aunt was known for neglecting the house work but spending fun times with her children reading and playing with them. My aunt was flabbergasted when this wealthy lady said to her that she had always been jealous of my aunt that she was confident enough in her parenting and in her self esteem to be able to neglect her house work for the sake of the children. How do you encourage the love of reading in your household? Do you know what your children are currently reading and the values expressed through that book? This week I encourage you to grab a favourite book and spend some time snuggled up on the couch with your children as you read aloud. Enjoy!! We join the library wherever we go on holidays too!